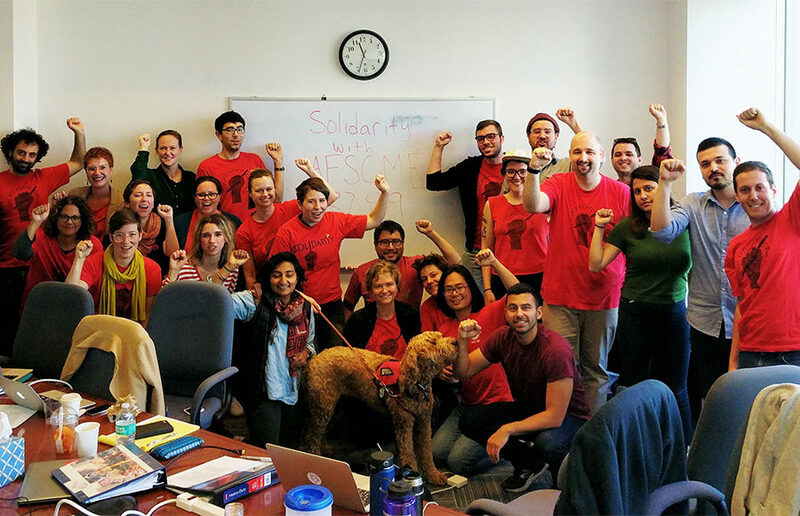 The UC Student-Workers Union, or UAW Local 2865, met with UC Office of the President, or UCOP, Wednesday for a bargaining session to discuss undocumented student rights and the demilitarization of campus police. Negotiations between the two parties began Feb. 28 at the UCOP statewide office in Berkeley. UAW Local 2865 and UCOP have since convened once every two to three weeks at different UC campuses to continue negotiations. “What we are looking for is we’re trying to improve conditions for our student employees,” said Eden Ragsdale, a member of the UAW Local 2865 bargaining team. UAW Local 2865’s current contract with UCOP is set to expire June 30. If the current contract expires before the two parties reach an agreement, UAW Local 2865 and UCOP will continue to hold bargaining sessions until a contract is agreed on. Erin Greer, a campus doctoral candidate, said unions are usually not allowed to strike per contract terms, but once the contract expires, unions are free to do so, with certain restrictions. One of the union’s main proposals includes a demand to demilitarize campus police. 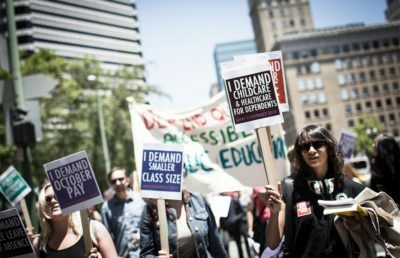 The article has yet to be proposed to UCOP, according to Ana McTaggart, unit chair of the union’s Santa Cruz chapter, as union members finalize the contract language. Greer said the use of militarized police force at political demonstrations may discourage people from using their rights of freedom of assembly and freedom of speech. 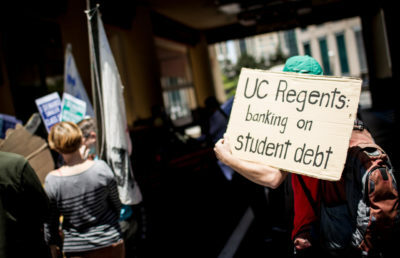 Ragsdale said Wednesday’s bargaining session was the first of its kind to be held in a location other than a UC campus. Ragsdale added that hosting the meetings on UC campuses makes the sessions more accessible, allowing campus students to sit in on negotiations between classes, unlike in Wednesday’s meeting. Summer class session compensation — how much workers are paid over the summer — and the right to strike were the only issues brought up in Wednesday’s meeting, according to Ragsdale. She added that the other proposals will be brought up in Thursday’s meeting. “Ensuring a safe and respectful environment for our students, faculty and staff is one of our highest priorities, and we are open to discussing any workplace safety and security concerns the union has that fall within the scope of contract negotiations at the bargaining table,” said UCOP spokesperson Stephanie Beechem in an email. Contact Amber Tang [email protected] and follow her on Twitter at @ambertang_dc.